Patients are being put at risk because GPs' computer systems are failing to warn of potentially fatal prescribing errors, a study suggests. Researchers from Nottingham, Kent and Edinburgh tested four systems which all failed to issue safety warnings. None warned that aspirin should not be given to an eight-year-old - even though its use is banned in under-12s. NHS safety experts said they would look into the issues raised by the British Medical Journal study. The researchers drew up 18 scenarios where the systems should have brought up warnings when doctors tried to prescribe. In addition to allowing aspirin to be prescribed for a child, three out of the four systems allowed methotrexate - a chemotherapy drug - to be prescribed for a pregnant woman. Aspirin use in children is linked to Reye's Syndrome, a rare disease that attacks the brain and liver. Chemotherapy drugs should not be given to pregnant women as they could harm the unborn child. All four permitted Microgynon, a combined contraceptive pill, to be prescribed for a patient with a history of deep-veined thrombosis, even though the Pill can increase the risk of developing a blood clot. The researchers also checked whether the systems detected if a doctor had mistakenly entered a drug with a similar name to the one which should have been prescribed. None of the four did. 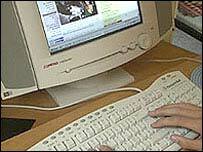 The systems tested are used in around three-quarters of UK doctors' surgeries. They do contain alerts over possible drug interactions, but do not warn of potential contraindications - reasons why a patient should not be given a drug. The researchers say these common contraindications are things that GPs should pick up - but they say improving the computer systems so they issued such warnings would be a "belt and braces" approach to safety. Professor Tony Avery of the department of primary care at the University of Nottingham, who led the research, told BBC News Online: "You would expect a GP to think very carefully about what they are prescribing. "But there could be situations where the doctor is distracted, or they could forget to ask for an essential piece of information. "It's then that the computer could be extremely helpful. Contraindication prescribing could be considerably reduced." He added: "Over half of the prescribing errors that result in hospital admissions could be prevented by more effective contraindication alerts on GP computer systems". The researchers say the makers of the four systems - which were not named in the study - have agreed to work with the National Patient Safety Agency, which advises the NHS, to improve the systems. In a commentary in the BMJ, Dr Robin Fermer, director of the West Midlands Centre for Adverse Drug Reaction Reporting, said that while computers can reduce prescription error rates by as much as 60%, patients still die from the remaining errors. He added: "Those who walk the therapeutic tightrope in general practice will want the assurance of a safety net that will catch important errors before they harm patients, an assurance that current systems cannot provide." Sue Osborn, joint chief executive of the National Patient Safety Agency, said: "Every day more than a million people are treated safely in the NHS. "However, evidence tells us that in complex healthcare systems some things will go wrong. Research has also shown that errors fall into recurrent patterns regardless of the people involved. "This study highlights the importance of looking at the system rather than the individual and in this case, by addressing an underlying weakness in GP computers patient safety can be improved."